This is another of these great books that are not books but an experience, a journey within a story that no review can do justice to. That's why I have hesitated to do a review of it, but I decided try to share a few of my thoughts finally. This is the story of a suicidal girl who has recently lost her little brother through circumstances that left her blaming herself for his death.This the story of her struggle between death and life. This is the story of her trip to Paris. This is also the story of a girl living in the time of the French Revolution, a girl really close to the royal family, a girl who also lost a little boy she loved as a brither and is struggling to survive. This is a story full of music and history, a story of pain and blood and sorrow. This is a story of rebirth and love and romance and... revolution. The deepest, greatest kind of revolution that exists and that takes place inside the heart of a human being. 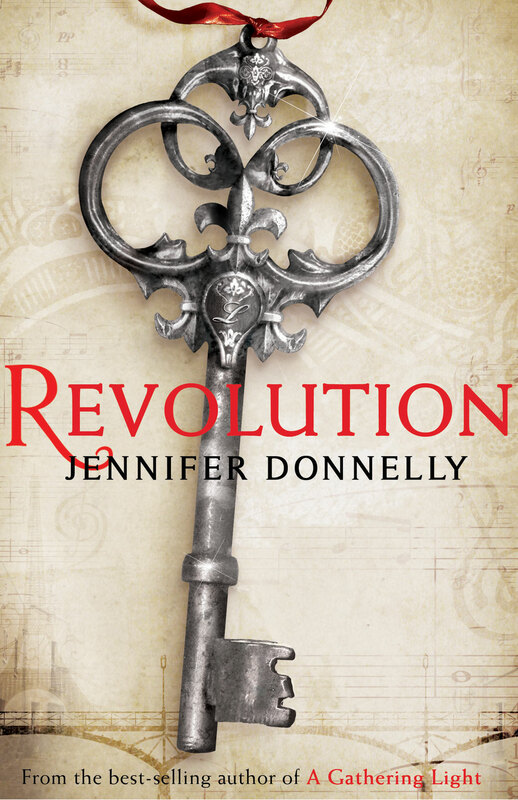 When Andi, the present-day-New-York girl, finds an onld journal in which Alexandrine, the French-Revolution-time girl, wrote her adventures, their two stories clash. The reader of course has no idea how each story will end, and keeps rooting for both girls to overcome tragedy and choose life. I have read quite a few historical novels on the French Revolution, but none told the story in such vivid colours as this. It is as if the author of this book kept the meat of the story, the important parts, the feelings and the tensions, and left out the historical details and the politics of the revolution (the boring parts -to me at least). That's why it's so interesting and so breathtaking to follow. Reading Alexandrine's journal was more like actually experiencing the revolution first-hand, as if I had actually lived there. There is some blood and gore, but not too much. Mostly there are the different points of view, and surprisingly, the predominant one is that of the royals and the aristocrats, whose story is so seldom told. I feel very protective of this book, I don't know why. I feel as if I should be careful that it doesn't fall into the hands of a reader who won't be able to understand it, to appreciate it. Or, the other day I watched a review of this book on YouTube, and the girl kept pronouncing Alexandrine's name wrong, and I was so angry at her. This is such a precious story, the characters are so fragile and yet surprisingly strong when it is needed. Maybe that's why. Or maybe because this book is actually about choosing life in the worst possible circumstances, and choosing how to live it. How to live it so that it matters. And the few people who are priviledged to undestand that have felt intense pain in their lives and bear the scars to prove it. Andi is such a person, and Alexandrine. P.S. This review wouldn't have been up, nor would I have had the energy and the strength to write it, if it hadn't been for your lovely comments and prayers. God really did speak to me through you. And I think he said that He cares. Thank you. I recently read this book and loved it as well! Great review. Thanks! thank you for your comment. so glad our tastes match!